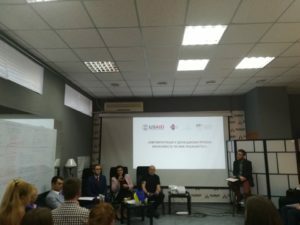 Eurointegration: Prospective or Existing Success? 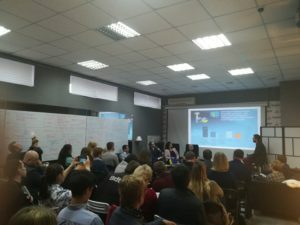 – Центр "Нова Європа"
Home - Events - Eurointegration: Prospective or Existing Success? 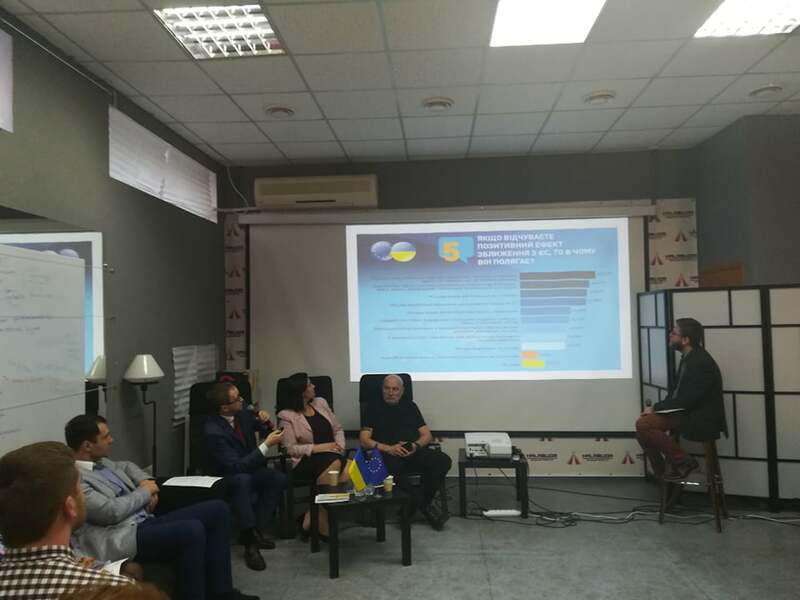 Have Ukrainians living in Ukraine’s Eastern region felt the positive impact of economic and political rapprochement with the European Union? In which way does the central government contribute to local “success stories”? How has the work of the local authorities changed over the five years since the signing of the Association Agreement? 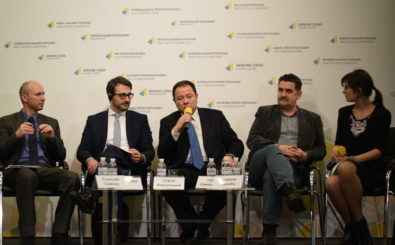 These are only some questions to address during the conference “European Integration of Donetsk Region: Prospective or Existing Success?” organized by the New Europe Center and the Office of the Vice-Prime-Minister for European and Euro-Atlantic Integration on April 9 in Mariupol. This is already the fourth regional event of the NEC; our team held discussions last year in Kharkiv, Odesa and Kherson. Регіональна конференція "Євроінтеграція у Донецькому регіоні:можливість чи вже реальность?" During the first panel discussion “Donetsk dimension of European integration: achievements, obstacles, prospects”, the speakers were: Ivanna Klympush-Tsintsadze, Vice-Prime-Minister for European and Euro-Atlantic Integration of Ukraine; Igor Stokoz, Deputy Head of Donetsk Regional State Administration; Sergiy Solodkyy, NEC First Deputy Director; Artem Vivdych, Head of the USAID Project “Economic Support to Eastern Ukraine” Office in Mariupol. 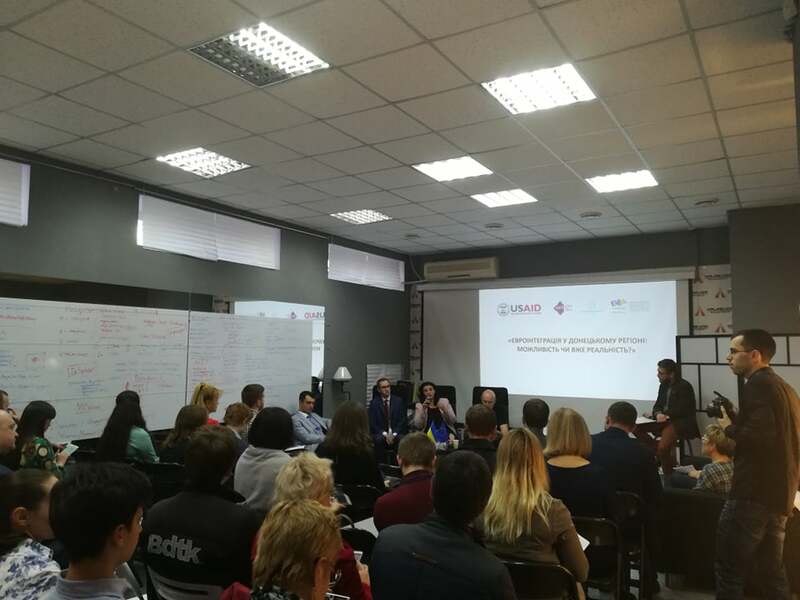 A discussion about local “success stories” and challenges of the European integration took place during the second panel discussion “European integration: the power of opportunities”, in which entrepreneurs, civil society representatives, experts, and media took part. Have a look at more photos from the conference by this link. The event was held within the framework of the project implemented under the USAID/ENGAGE activity, which is funded by the United States Agency for International Development (USAID) and implemented by Pact. 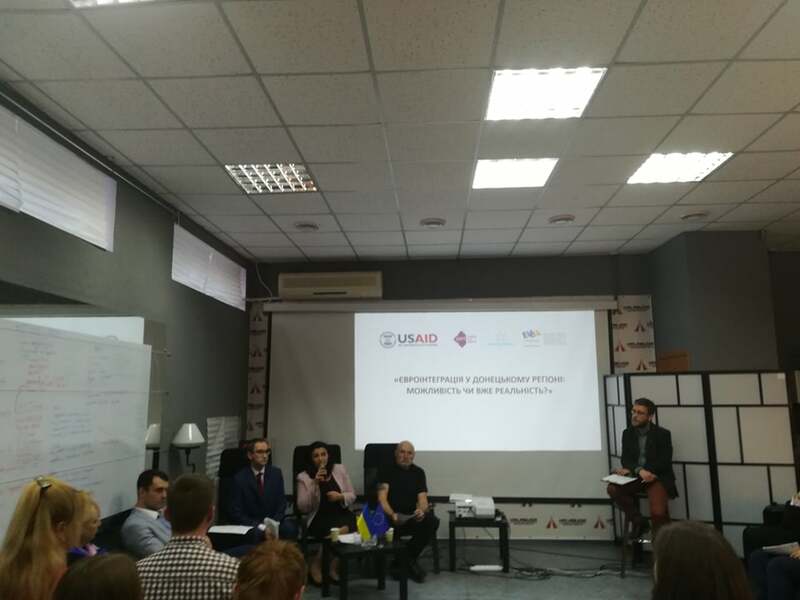 The contents of the event are the sole responsibility of New Europe Center and Pact and do not necessary reflect the views of USAID or the United States Government.